Uses ultrasound for a variety of tactics; although he is a soldier with great abilities, he was unfairly scored low for the Destron army. He is one of the leading musical talents in the galaxy, however his eccentricity and genius cause resentment. As the Destrons don't recognise artistic talent, his tech spec numerals do not correctly represent his true values. The 44 Magnum was the only gun robo from Takaras Micro Change line never to be released in the Transformers toy line. 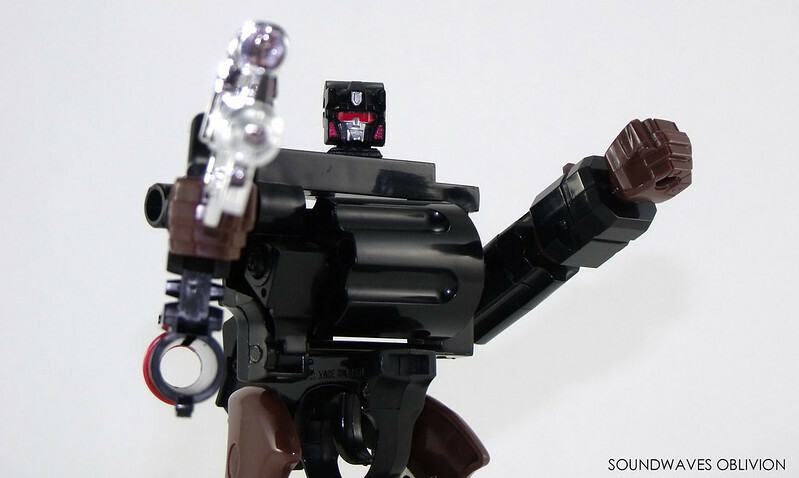 Originally released in 1983 in Japan, the 44 Magnum Gun Robo was a very realistic version of the Smith & Wesson / S&W Model 29 hand gun - an alternate mode possibly chosen for its association with Clint Eastwood's Dirty Harry film series. 44 Magnum also saw a release in GiGs Trasformer "Pistola Robot" line in 1984; like many of the releases in Italy it was identical to the Japanese release, however a red cap was glued to the end of the gun barrel for safety reasons. Tankor is a mountain of pure destructive force. Give him an objective and it's as good as done (and quite possibly crushed, smashed, or completely demolished). 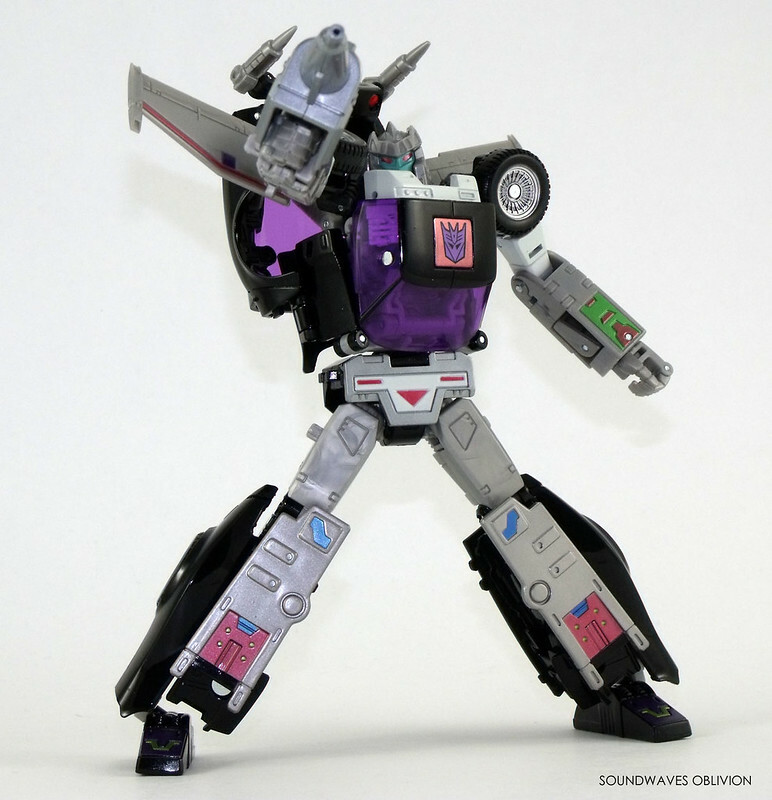 The Vehicon General doesn't have much for brainpower, but his skill in battle is nearly unrivaled. 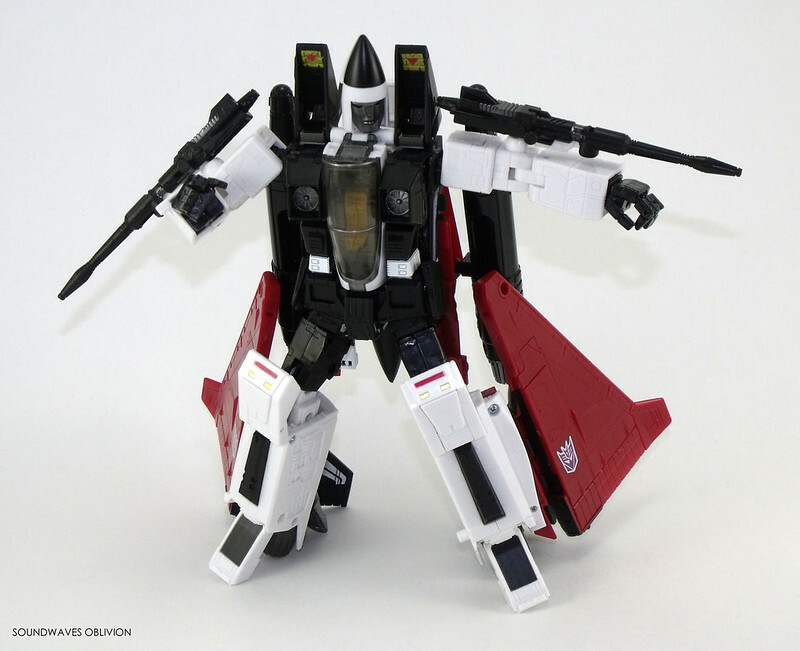 The Aerial Warrior Ramjet is one of the new members of the Jetrons. His delta wings give his jet transformation a characteristic look and he can fly up to mach 2.8. 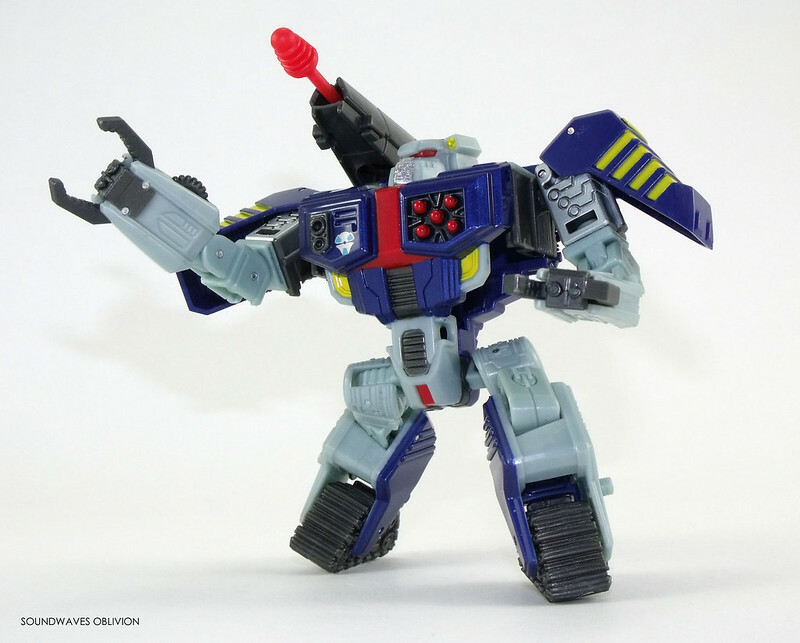 Boasts a strong body which can withstand any shock and in jet mode he specialises in ramming his opponents. The attack formation of the Jetrons is now the Cybertrons biggest threat.